Which picture of Paige do anda like better? I made this ikon and I forget what episode it is from. Could someone ID it for me? Thanks! 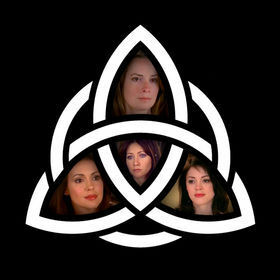 During its eight season run, the fantasy-drama "CHARMED" has occasionally featured an episode dealing with the topic of time travel. These time travel episodes usually prove to be well-written atau exceptional. However, there comes a time when the series produced a time travel episode that end up being a dud. The series' Season Six episode, (6.11) "Witchstock" proved to be the latter. Now I know a lot might not have noticed but as a huge peminat-peminat of both shows, I noticed that there a lot of similarities between the two shows. 1. (2.12)"Awakened" - After purchasing illegal Buah from South America, Piper is infected with a deadly and rare disease called "Arroyo Fever". Prue and Phoebe use an "Awakening" spell to cure her, but the spell backfires with deadly results. (2.14) "Pardon My Past" is an episode from Season Two of the TV series, "CHARMED" (1998-2006). In it, one of the Charmed Ones – Phoebe Halliwell - is haunted sejak a spirit from her past life. The past life turned out to be one P. Russell, a first cousin of the Halliwell sisters' great-grandmother. Piper Halliwell: It doesn't matter because nothing happened... Right, Phoebe?... when anda did the incantation? Phoebe Halliwell: Well, my head spun around, and I vomited perpecahan, berpecah kacang, pea soup. How should I know? (6.17) ”Hyde School Reunion” is an episode from Season Six of the TV series, ”CHARMED” (1998-2006). It is viewed as controversial sejak many peminat-peminat of the show. I wish I could say that its controversy revolved around any innovative storytelling. I wish I could say this . . . but I cannot. Because ”Hyde School Reunion” is without a doubt one of the worst ”CHARMED” episodes to air on television. This artikel is for peminat-peminat of the ONE AND ONLY TRUE Charmed like myself about our kegemaran show. a pop quiz question telah ditambah: Who was the first sister to be turned into something? a pop quiz question telah ditambah: Who berkata this line: I'm sorry. I didn't get that last platitude. a pop quiz question telah ditambah: Who berkata this: That's a good reason, I guess. What was the spell in The Book Of Shadows that The Charmed Ones used to not only vanquish warlocks but also as a means of protection? Let`s reach 20. 000 peminat-peminat !